My wife and I have a few go-to places for celebrating special occasions – like Fridays, or a Wedding Anniversary, a successful shopping trip or the first rainy day in September after a long drought. And considering that Victoria B.C. is a city flush with imaginative restaurants, there are really only a handful (in my estimation) of food places that consistently deliver passion, authenticity, love and great taste in equal measure. 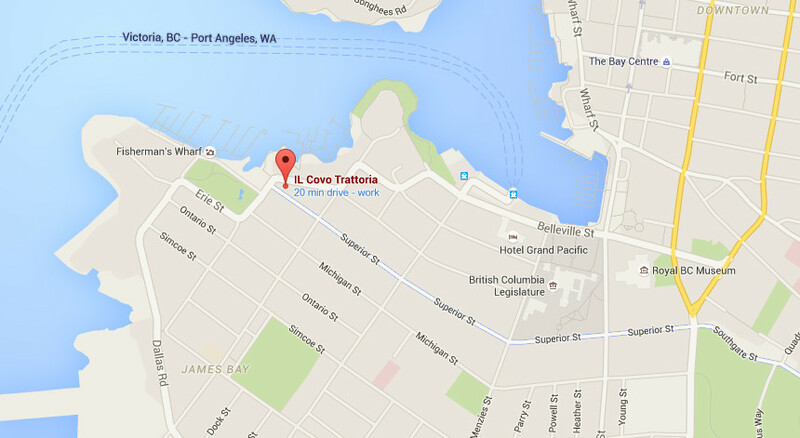 Il Covo Trattoria at 106 Superior Street in James Bay near Fishermans Wharf is one of those places. 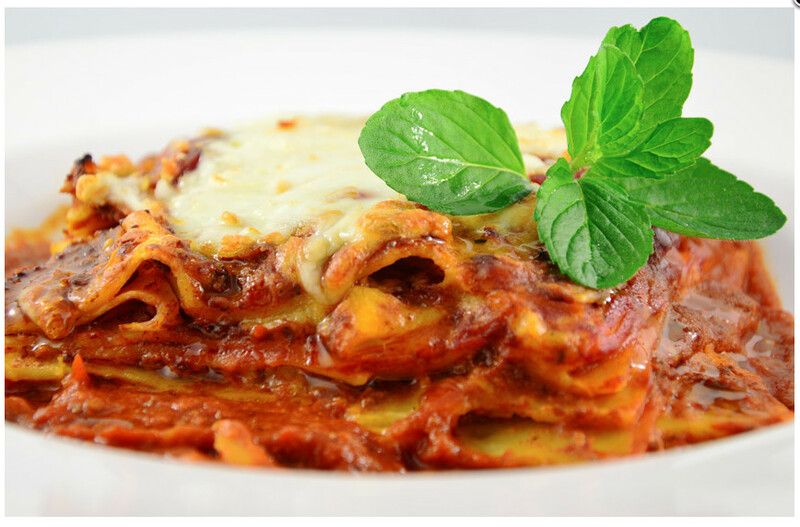 I have a soft spot for Italian cuisine (my mother grew up in an Italian enclave in Montreal in the 30’s and 40’s…) and I was raised on rustic interpretations of Northern Italian classics. So, it’s in my blood and in my memories. And if your momma cooked Italian, getting that experience in a restaurant is a tall order. Il Covo Trattoria seems to make it effortless. Their location in historic James Bay – Victoria, not far from Fishermen’s Wharf and a short walk from the Inner Harbour and some of the cities finest hotels could be just as easily located in the heart of New York City, Rome or Montreal. Passing through the grand entrance into the care of the hostess, one is transformed into another time and place. A big part of a restaurants charm is unquestionably its ambiance and Il Covo has certainly nailed the European experience. Ii Covo is large enough for expansive families and intimate enough for couples on an important or romantic date. Service is attentive, informed and engaged without being worrisome. What I love about the eating experience here is the dedication to authenticity and focus on regional ingredients – all impeccably fresh and balanced according to the season. Andrea and I started our culinary adventure with a martini and one of Il Covo’s brilliant Northern Italian inspired cocktails. Our opener from Chef was a salad of rare tuna, chick peas and arugula – perfectly tart and balanced to set the palate up for our mains. This evening my wife had the signature Lasagna – which she rates as the best in North America – and trust me, she has sampled this straight forward dish from coast to coast. I had the Papardelle pasta with Prawns and fresh asparagus in a Pernod sauce – delicious, fresh and so satisfying. If you have room for any dessert, the cakes, creme brulee, panna cotta and tiramisu are amazing – I know. I have had them all. Coffee is great too! Il Covo, for us, is a place filled with love of family, friends and dedication to the most positive food experience – it is as close to eating in an Italian village as you can get without actually being there. Top marks to the Il Covo team! Bravo!